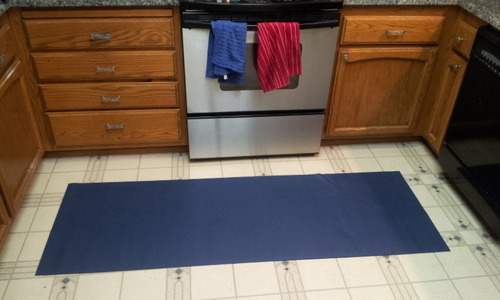 After getting links to YogaDork articles on the importance of home practice and the business of yoga shortly before getting a link to this pictorial essay on at-home yoga spaces, I reflected on what the yoga “industry” is doing to undermine home practices. As we build our brands and our images of what a retreat or self-care “ought” to look like, creating these industries of “inward focus” interior decorating, some of our beginning students get the idea that they aren’t practicing “properly” without these silly accouterments. The yoga community created props not to exclude people who couldn’t afford the fancy ones, but to make poses accessible, particularly with the hope that one day we would practice BEYOND the pose itself. As we promote an image of a yoga lifestyle, rather than merely having a yoga lifestyle, we risk convincing people that they simply don’t have the space or environment to practice at home. 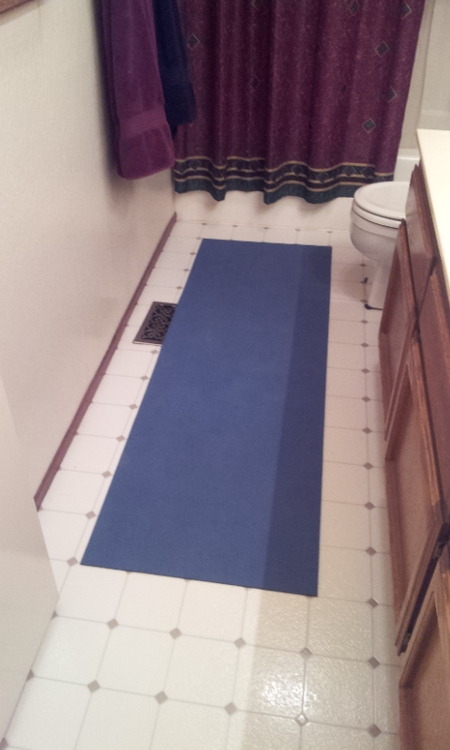 Toss your mat into the bathroom. Perhaps get some warm up while waiting for the water to warm up (careful, California, it’s a drought year) or just find some peace and quiet away from kids, pets, etc. 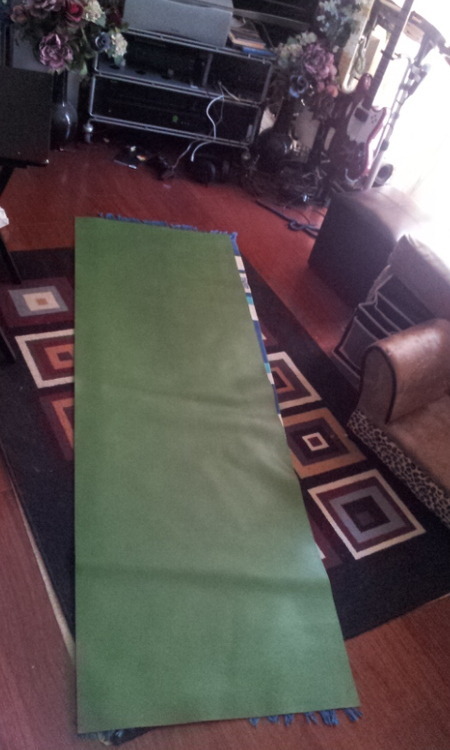 Cram your mat in between the pet bed, TV tray, and PS3 gaming equipment: Good for video practices. Fan of hot yoga? Try rolling out between your stove and dishwasher. This practice might be especially challenging if one of your distractions from one-pointed focus is doing the dishes, so your determination will get stronger with this tapas-oriented location. As nice as it is to have a comforting, calming space, remember whenever you need to be inspired where the word inspiration comes from: Spiritus is not only soul and life force, but the breath itself. Need inspiration for your practice?Breathe in.